WWE continued the round of live events as the SmackDown roster set up shop at the PPL Center in Allentown, PA. 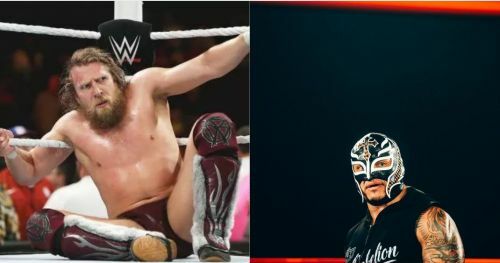 The house show saw many top names in action that included Daniel Bryan, The Hardy Boyz, The Miz, Kofi Kingston, AJ Styles, and Rey Mysterio, amongst others. The show was main evented by a tag team match featuring the team of AJ Styles & Kofi Kingston against Daniel Bryan & Erick Rowan. The SmackDown Women's Championship was the only title defended as Asuka took on Mandy Rose in the penultimate bout of the night. Elsewhere on the card, Shelton Benjamin wrestled two matches in succession and lost both of them to a pair of babyfaces from the blue brand. The Miz and The Hardy Boyz got some of the best pops as the show ended up being quite an entertaining watch for the fans in attendance. The muscle of the New Day kicked off the in-ring proceedings of the night against the forgotten Eric Young. The Sanity leader was accompanied by Killian Dain in a match that had a predictable outcome. Big E got the win over the former TNA World Champion in a decent opener. For some weird reason, the WWE felt compelled to have a dance break after just one match. R-Truth and Carmella did their shtick with the kids from the crowd before we moved on to the second bout of the night. Mustafa Ali, who just goes by the name Ali now, faced The Gold Standard. Benjamin played the role of a heel and drew heat from the Allentown fans. Ali vowed the fans with the exciting in-ring style and got the job done against the 43-year-old veteran. WrestleMania 35: What if Kofi Kingston really isn’t challenging Daniel Bryan?